Sweetwater has different angle shots of them in their guitar gallery. Where do you adjust volume? I don't see a pot anywhere. I'm curious how these are going. One thing that strikes me about this new series is how unlike Ken Parker they are. The Parker Fly and NiteFly series of guitars don't have fancy bindings, inlays. Their strength is in the innovation that leads directly to function. These new guitars are about show, gold hardware, fancy inlays, bindings. Look at Ken Parker's stunning arcthtop...where's the abalone? Where's the mother of pearl or all the gold? It's a player's guitar that delivers what a musician is after. All of the Parker acoustics completely miss the ideology and vision of the man whose name is on the guitar. One thing that strikes me about this new series is how unlike Ken Parker they are. The Parker Fly and NiteFly series of guitars don't have fancy bindings, inlays. Quote: "I wonder if a lot binding has a negative effect on the tone of an acoustic guitar..."
I don't know a great deal about acoustic construction, but if (as most guitars do) you have two different kinds of wood (spruce top and rosewood back and sides for example) interacting with the string vibration to produce the tone, it would seem that excessive binding would limit the interplay between the two woods, and therefore alter the tone. On cheap instruments, this probably doesn't matter, but when fine (read: quality / expensive) tonewoods are used, this seems very very counterproductive to me. I would think that a thin binding of the same wood as the top stained in a darker/lighter color would be just as beautiful and give much better tone transfer. I like the feel of wood binding more personally, especially around the neck. Ken Parker Archtops are in no way shape or form related to the Parker Guitar archtops. I believe the pickups are "Egnators"
I think the only comparison to D'Aquisto is that shows both men attempting to take the form to another level. Jimmy, with the Avant Garde and the Solo was pushing the boundaries of a traditional design and coming up with some very cool-looking, modern instruments that offered a unique sound. Ken is reworking the fundamentals of the instrument from the air up, going back to the lute and earlier and examining the "what if's" associated with the process, attempting to project what the archtop would be like today if it's development had never been affected by variations in other forms of the guitar. In otherwords, a "pure" archtop, rather than one that was influenced by electricity or a need to be the pulse of the rhythm section of the big band. To me, what Ken is doing is incredibly exciting. He's done it for the solid body guitar, and now he's doing it for the archtop. And his initial results are nothing short of breathtaking. I know Ken's guitars seem unattainable to most of us. 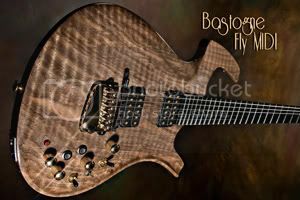 But he's the pinnacle of the art form and is at the forefront of a revolution (that is only one luthier right now...). Eventually, Lou, perhaps you'll live to see it, Ken Parker's designs will be shown to be the pivot upon which the entire guitar design world swung. It may take a while, but it HAS to happen. And no, the Parker Archtops from Parker guitars have nothing to do with it. It would be great if they did - they'd be about 180 degrees different in design, but sadly, they don't. 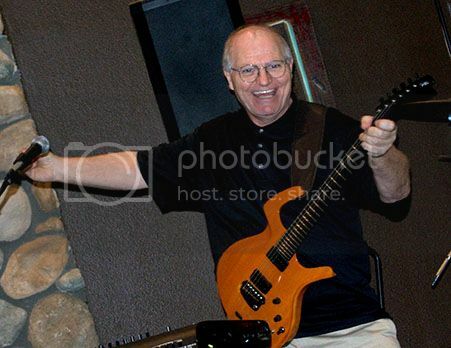 Digressing a little bit, anybody seen/heard Rick Turner's Compass Rose Guitars? It's not a Jazz guitar... sorry. But at about $5,500 a pop, I wonder how it compares to Ken's design. It's got a floating neck/fretboard supported only at three adjustable points. For claimed extreme climatic stability, the fretboard is reinforced with graphite bars. "Digressing a little bit, anybody seen/heard Rick Turner's Compass Rose Guitars? It's not a Jazz guitar... sorry. But at about $5,500 a pop, I wonder how it compares to Ken's design." Rolly, I've heard really great things about these guitars. I believe there is a review in this months GP mag. The design is a little different from Ken's from what I can tell. It's more of a pivoting system that allows the Compass Rose's neck to change its angle. The whole idea is that the guitar will never need a neck reset. I just purchased one of Rick's Ren basses and I'm very impressed by it's sound and workmanship. I'm thinking about a nylon Ren if something I've been waiting for doesn't materialize very soon. I've spoken to Barry, Rick's partner on the phone a few times and he is a great guy representing a great company. The Olive Branch sold for $30K, putting it in the realm of Benedetto, Monteleone, less than D'Aquisto or D'Angelicos, and others. It's hard to stress enough just how different and cool and great sounding and great feeling and different and light and responsive and so many more things the Olive Branch is. And I understand that the next one is already evolved. Think about this - the Olive Branch is a one-of-a-kind guitar that takes the first ten steps toward reinventing the acoustic archtop guitar... Imagine if there were only one Fly ever built - and everyone knew how great it was. Wonder what it would sell for. whats ken working on now?